Preview clips from Episode 54 of True Blood which will air July 15 on HBO. The clips are Sookie's Gross and Jason's Promise. The aftermath at the asylum leaves Sookie with an eerie sense of foreboding. The aftermath at the asylum leaves Sookie with an eerie sense of foreboding. At Fangtasia, Pam breaks up a vamp-girl fight between Tara and Jessica, praising Tara for her tenacity. Lafayette visits Ruby Jean, who also received a disturbing message from Jesus. Fearing for his family's safety, Terry blames his curse for his troubles with Arlene. Alcide challenges J.D. as leader of the wolf pack. Sam offers to help Andy investigate the recent shootings. Roman lays out his plans to take out Russell. 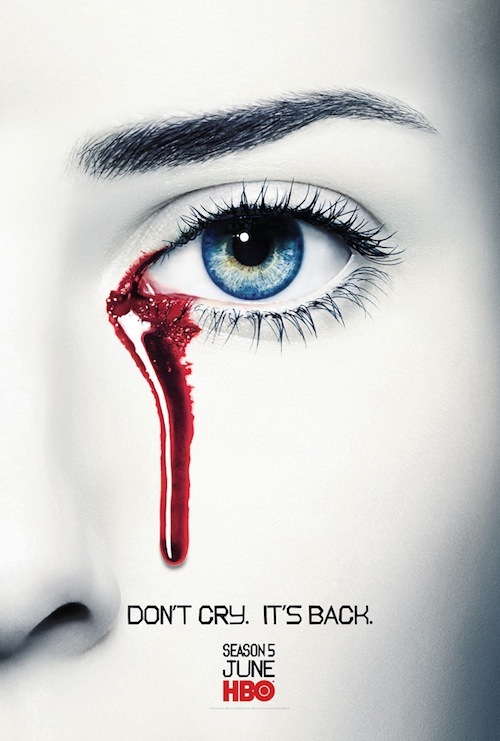 As a reminder, TRUE BLOOD airs on Sundays at 9pm, only on HBO! Ep. 54 Preview: "Sookie's Gross"
Ep. 54 Preview: "Jason's Promise"